In my last post I left off with our departure from Cape Breton Island Nova Scotia. In this post I’ll be talking about our visit to Bluenose Coast of Nova Scotia. 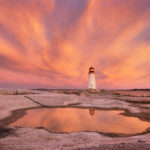 This area of Nova Scotia has been high on my photography wish list for many years. 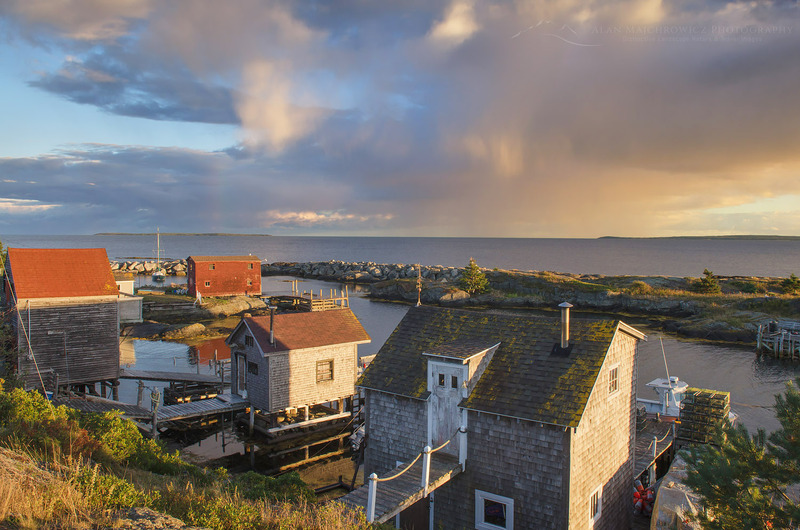 Bluenose Coast contains some of the most famous tourist attractions in the Province. 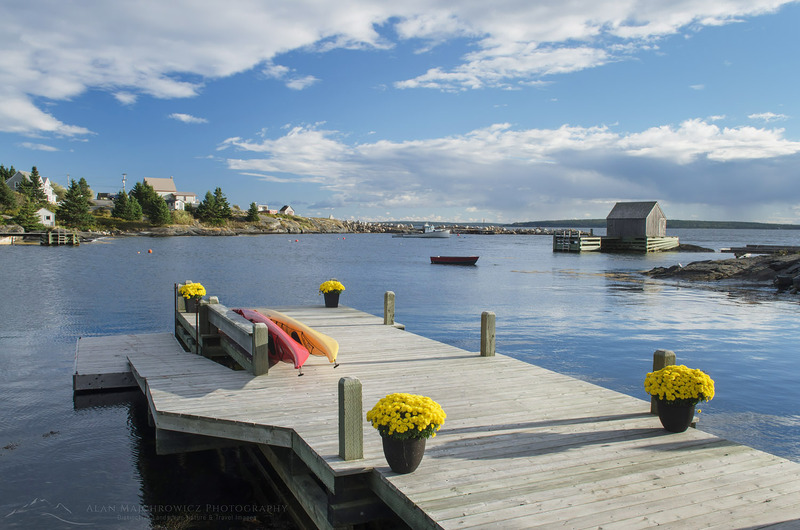 Situated southwest of Halifax the area includes Peggy’s Cove, and the lovely coastal villages of Chester, Mahone Bay, Lunenburg, and Blue Rocks. 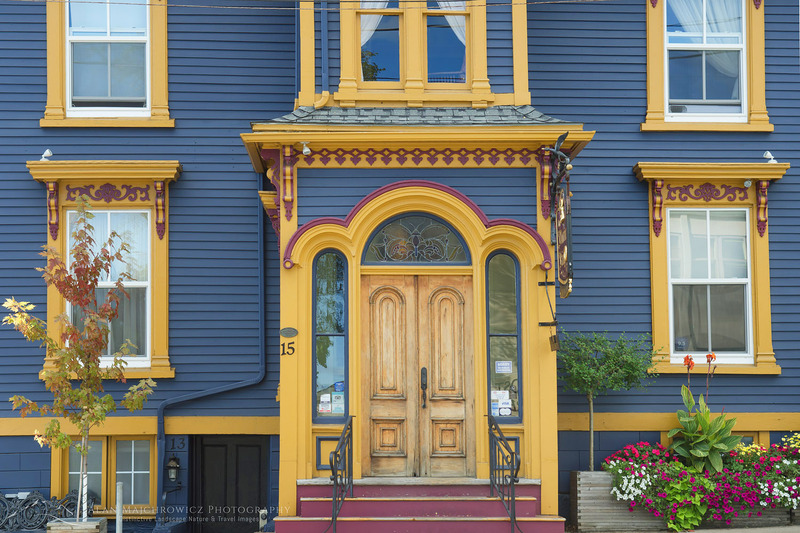 How the term Bluenose originated is up for debate, some say it is a derisive term dating to political divisions of the late eighteenth century. However, others will say it refers to a bluish variety of potato, or the nose color of locals in winter. Our drive from Cape Breton Island down to the Bluenose Coast was again a long tiring journey. Not only was the weather rainy discouraging, the route we took was longer than anticipated. Instead of taking a direct course via the main highway, we decided on a more scenic drive along the coast. While I won’t say this was a mistake we did find the road to be exceedingly long with very few coastal views. Most of the way travelled through heavily forested lands dotted with tiny villages. Occasionally the roads breaks out on the coast with views of numerous islands. According to our travel brochures this area northeast of Halifax is a haven for wilderness loving sea kayakers. I’d love to be able to return and explore this vast area with a boat. 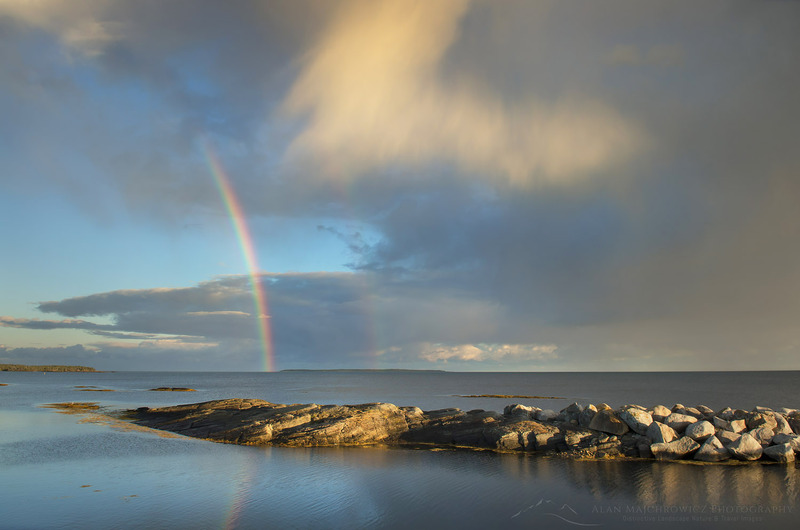 Between the rain and the torturous road we decided to finish the drive to Bluenose Coast the next day. We weren’t to thrilled at the prospect of finding our way through the Halifax area at night. After anxiously getting through Halifax in the morning we decided to base our stay at Graves Island Provincial Park. Well situated near all the sites I was hoping to photograph, Graves Island also had some of the best campsites on our trip. After setting up camp we went on to check out the nearby town of Chester. 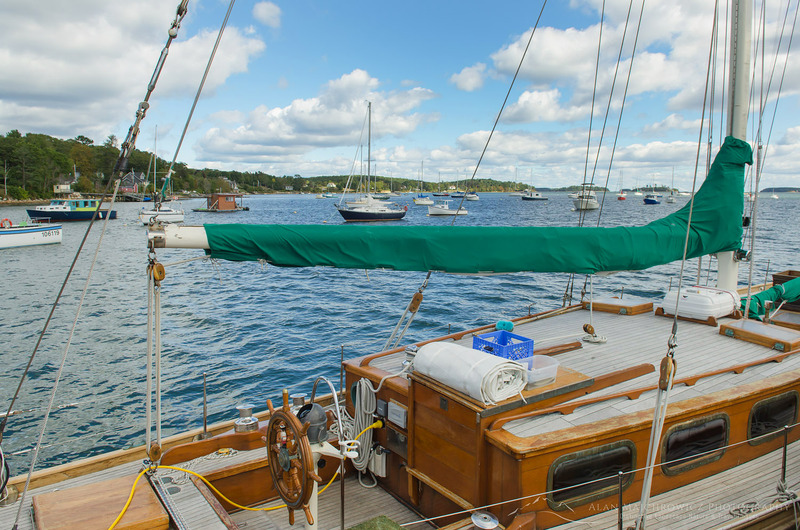 Founded in 1759, Chester is a quaint village on Mahone Bay noted for stately old homes, and a thriving artist community. Along with a boat filled harbor Chester is also home to The Fo’c’sle, Nova Scotia’s oldest pub. 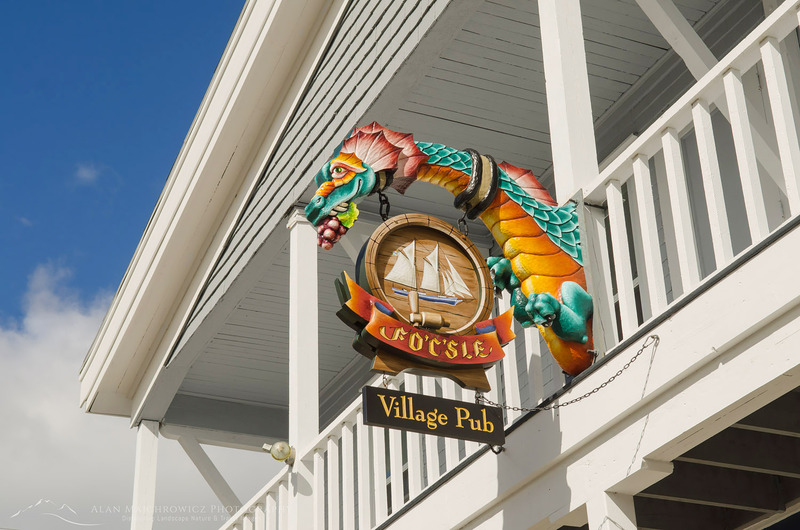 I couldn’t resist photographing the whimsical dragon hanging above the entrance. After a few weeks of photographing mostly nature oriented locations we were finally in Coleen’s environment. Picturesque coastal towns with lots of shops to browse through was something she had been looking forward to. Although I’m mostly a wilderness nature lover I also was enjoying the change. The next day was perhaps the most memorable of the entire trip. It was a big day with lots of sites to see and photograph on the Bluenose Coast. We began it with breakfast at The Kiwi Cafe in Chester, a colorful establishment with great food, after which we proceeded to Lunenburg and Blue Rocks. Along the way we passed by Oak Island, the site of questionable buried treasure, made famous on the History Channel’s Curse of Oak Island tv show. Needless to say, we didn’t stop by to check it out. Along the way we had to stop in the town Mahone Bay for the annual Scarecrow Festival and antique fair. Even without the festival the town is definitely worth a stop. 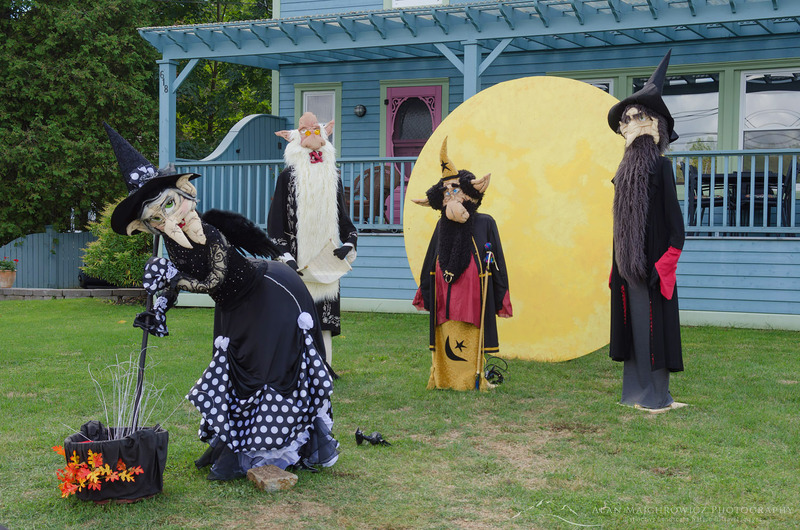 Dating back to 1754, Mahone Bay has numerous eclectic boutiques, art studios, antique shops, B&Bs, and restaurants. Of course with the festival in full swing Mahone Bay was overflowing with tourists, including us. We ended up spending several hours there checking out shops and the over 250 whimsical handmade scarecrows. But we had to move on, I was anxious to scout Lunenburg and the tiny fishing community of Blue Rocks. 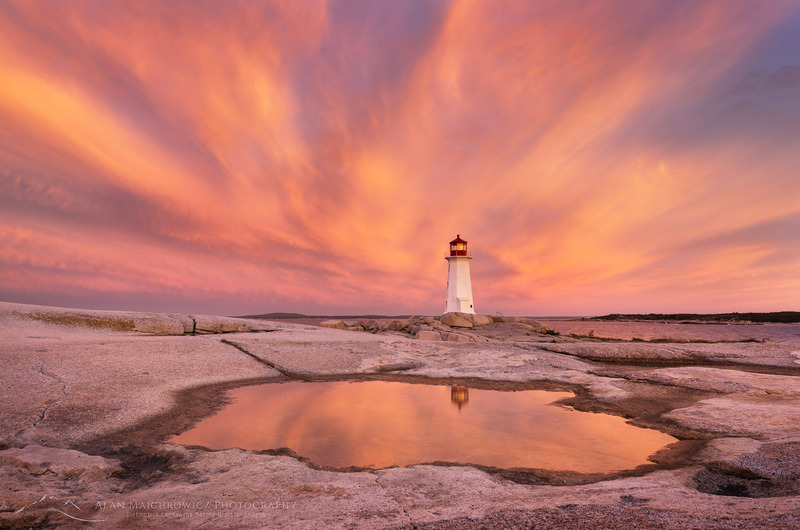 Aside from Peggy’s Cove these to locations are perhaps the most scenic and photographed in all of Nova Scotia. 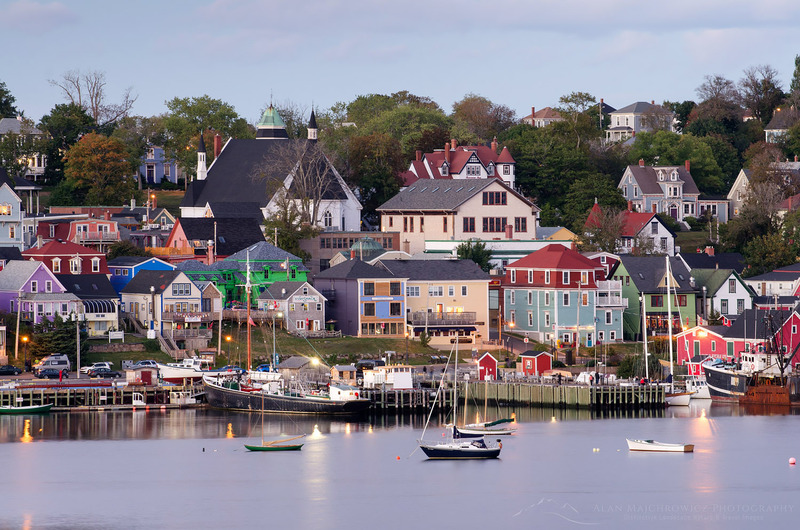 Lunenburg is yet another old historic fishing town. In my mind it was the most interesting one we visited. The town sits on a gentle hill overlooking the bay, with many of the historic buildings sporting vibrant colors. For photographers looking to capture these colorful buildings on the waterfront there is no better spot than a park directly across the bay. You have the option of photographing from the waterfront or up a hill on the edge of a golf course. The later offers a wonderful elevated view of the town and boats. After finding these locations and making a few photos we went on to scout Blue Rocks. Being new to the area it was a bit difficult to find among the maze of roads. However there was no mistaking it on arrival. Blue Rocks really is just a small community with several fishing shacks and boats on calm inlet. 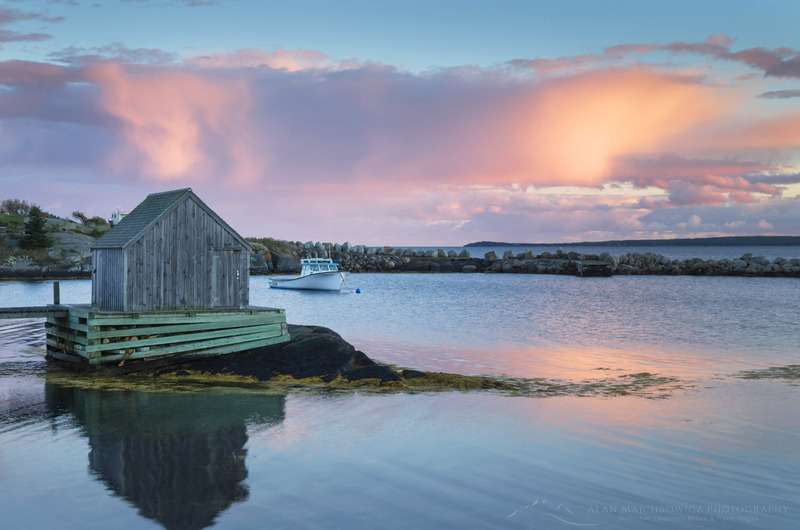 The location though is classic, old colorful fishing shacks and boats moored alongside with islands and the Atlantic as a backdrop. And the rocks are really blue, with the layers eroded into fantastic shapes. With crystal clear water and bright yellow skirts of seaweed the rocks boats and buildings presents a dazzling array of colors and shapes. I was bubbling over excitement at photographing this wonderful location! The only thing missing though were clouds, the sky was an empty electric blue. Perfect for picnics and leisurely drives but not for photography. It was still early so we went back to Lunenburg to check out the town and have a bite to eat. We found another gem at the tiny Salt Shaker Deli. I would highly recommend stopping by if you are in the area. The food was wonderful, probably the best seafood chowder in the Province, and the friendly staff and outstanding harbor view made for a memorable experience. And if this wasn’t enough, as we were finishing our meal I noticed some interesting clouds moving in! 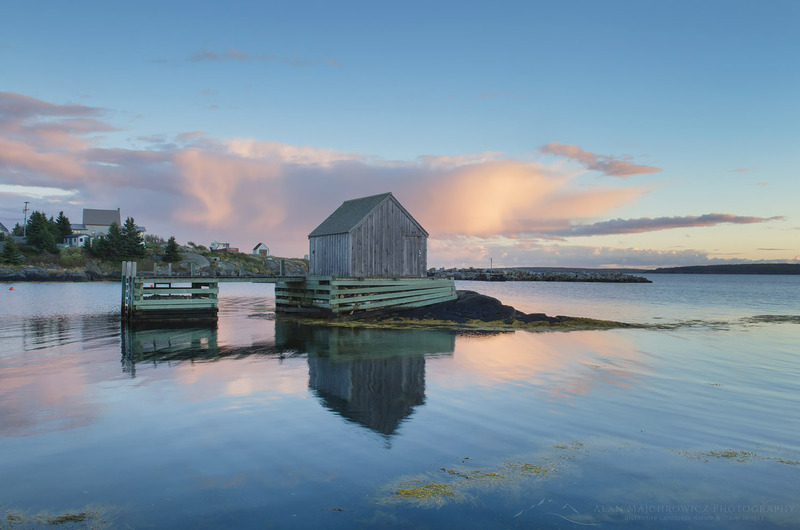 Our plan was to head back to Blue rocks after dinner for evening light, and then hurry back to Lunenburg to photograph the waterfront at twilight. Arriving at Blue Rocks the sky darkened and rain began to come down in sheets. A complete opposite of the earlier sunny blue sky. I was getting discouraged at my prospects when the showers began to move on. The elements for some great evening light were beginning to come together. 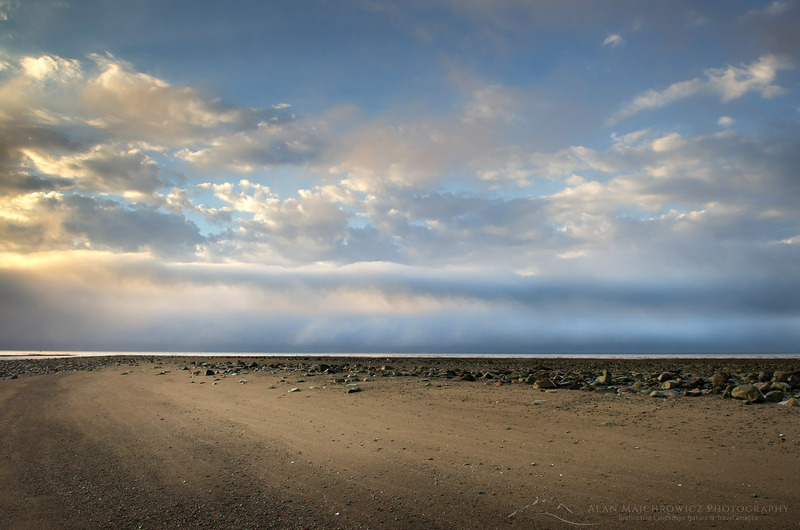 Firstly a rainbow began to take shape, followed by curtains of rain and clouds being illuminated by the setting sun. Moving around I found many compositions among the boats and fishing shacks. 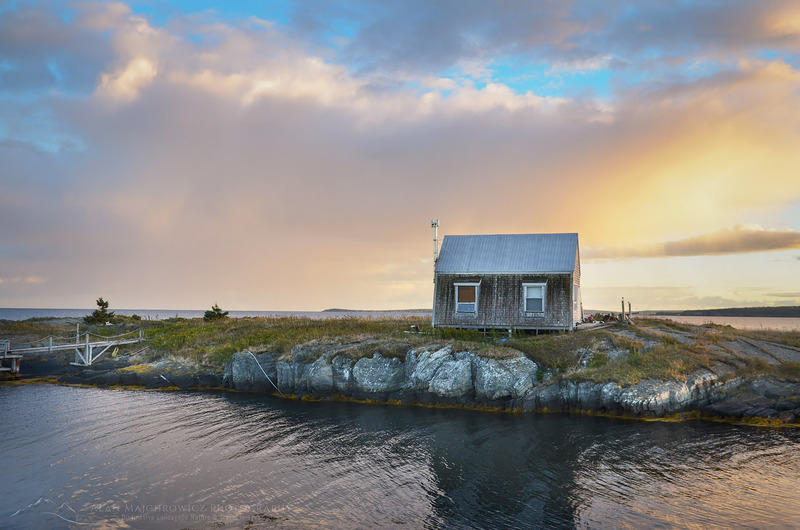 As the light began to peak and fade I worked to photograph one of the most iconic shacks in the last glowing light of the evening. So far this was the best combination of light and subject matter on the trip. We were also able to get back to the Lunenburg location in time for more photography. I quickly set up and made some photos just as the lights began to turn on in town with a purple twilight glowing above. All in all it was a perfect autumn day, sightseeing in historic towns with Coleen, great meals, and successful photography. But there was more in store for us along the Bluenose Coast the next day at Peggy’s Cove, our final location in Nova Scotia. 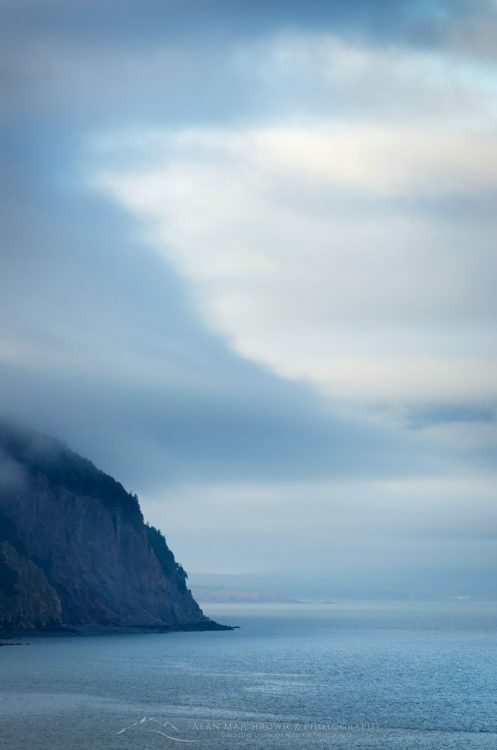 A year ago I made my first visit to the Bay of Fundy New Brunswick. 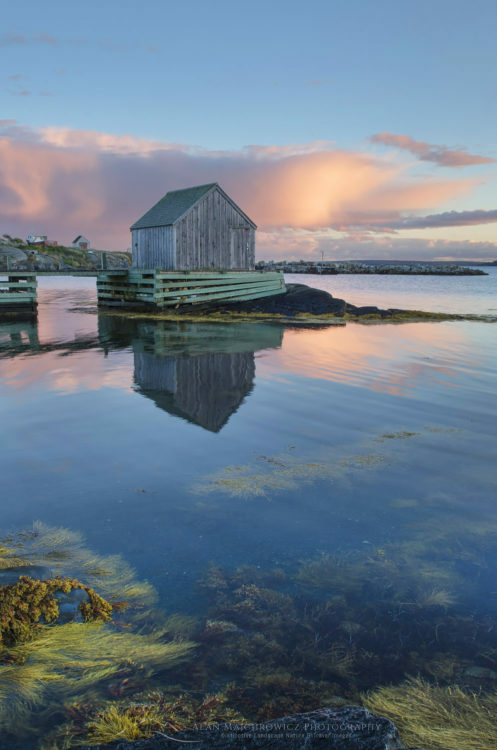 For many years the Atlantic Provinces of Canada have been on my must see list. Last year my wife, Coleen, and I finally had the opportunity to visit and photograph in this beautiful region. 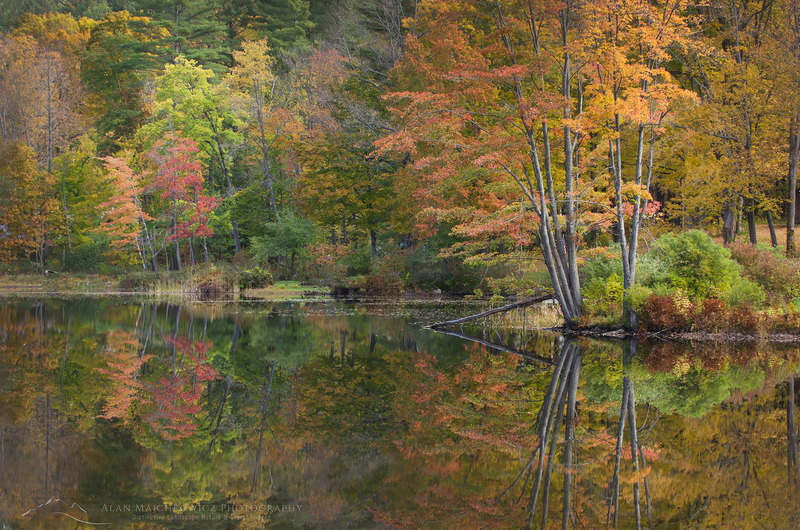 Our plan was to spend six weeks traveling to Nova Scotia and New England for fall color photography. Since we had to drive through New Brunswick we couldn’t miss the opportunity to check out the fabled Bay of Fundy. Fundy National Park was our first stop in the Atlantic Provinces after leaving New England. 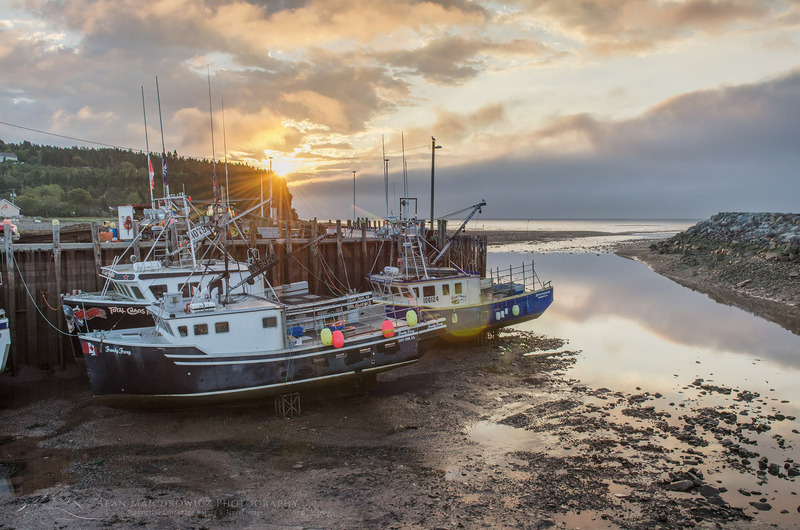 Fundy National Park showcases rugged coastline, over 25 waterfalls, dense Acadian Forest, and of course the famous tides. We excitedly pulled over at the first overlook of the bay. After such a long drive across the continent it was a welcome sight to see and smell saltwater again. We checked in at the visitor center to secure a campsite then quickly set up our home for the night. We stayed in Headquarters Camp and found it very convenient, being very close to the bay. 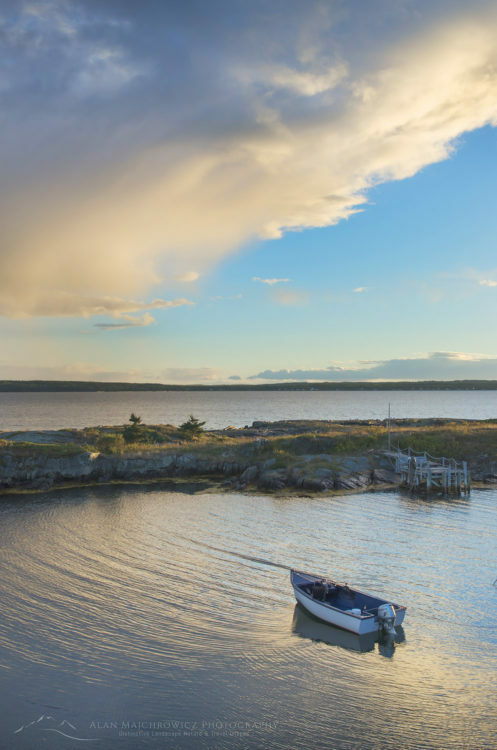 Campers in Fundy National Park have a variety of options available in three different campgrounds. You can choose between traditional tent and RV sites, yurts, rustic cabins, oTENTik, or the new Goutte d’Ô. Goutte d’Ô is a structure with a water droplet shape suitable for couples or family. I must warn, however, along with the park’s daily use fee per person, the cost of renting out an oTENTiks, or Goutte d’Ô could be higher then a nice motel room. Our next objective was to pay a visit to the small town of Alma in search of lobster. 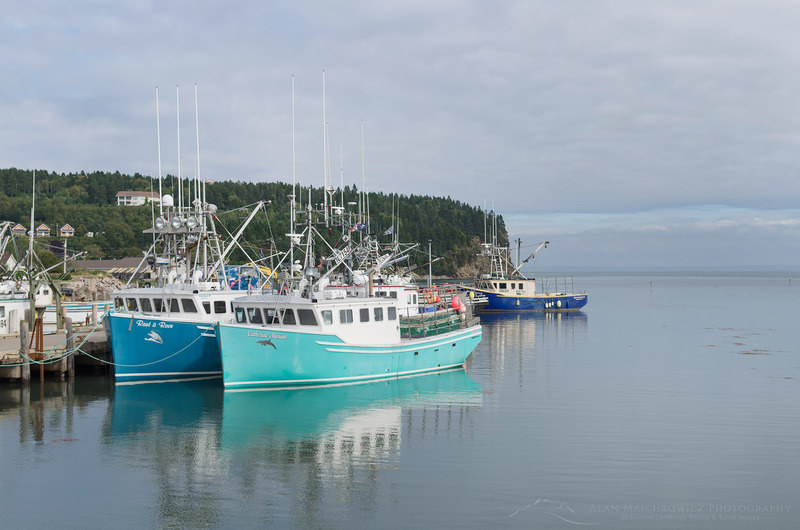 While in town I made some photos of fishing boats moored to piers at high tide. My plan was to make some comparison photos of low and high tides. We searched the town but couldn’t find any open lobster shacks. It turned out the season had closed so there wasn’t any lobster available. So we settled for the next best thing, clam chowder and fish & chips. I wish I could report that we had a good introduction to east coast seafood, but it wasn’t to be. The clam chowder was very watery, with hardly any cream clams or flavor. Unfortunately the fish & chips were no better, a small fillet covered in thick very greasy batter. Although we were sorely disappointed, our dining luck will greatlyimprove in the coming weeks! 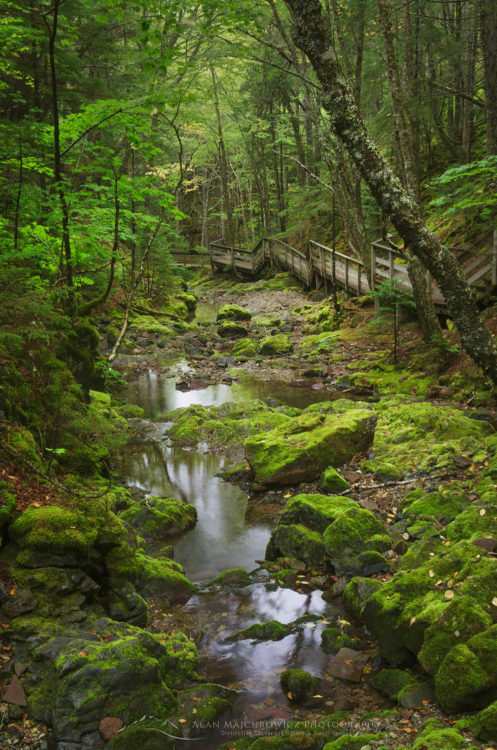 Aside from the obvious attraction of the bay and it’s tides, Fundy National Park also has over 100 kilometers of trails. I wanted to check one of those trails before getting ready for evening photography. I decided on the popular Dickson Falls Trail, a short walk into a forested ravine to a famous waterfall. Upon entering the forest I was immediately struck by the heavy fragrant scent of spruce trees. Forests in New Brunswick and Nova Scotia are classified as Acadian, a mix of northern hardwoods and boreal spruce usually found in the far north. A well constructed boardwalk trail takes you through a cool green forest which felt more like home in the Pacific NW. Due to all of New England and the Atlantic Provinces experiencing a severe drought, Dickson Falls turned out to be a disappointing trickle. After the hike we returned to a wide overlook of the bay and settled in to see what kind of light evening will bring. A quaint feature of Fundy National Park is the placement of red Adirondack chairs in quiet scenic locations. It was relaxing to take advantage of the chairs as we gazed across the bay hoping to see whales. 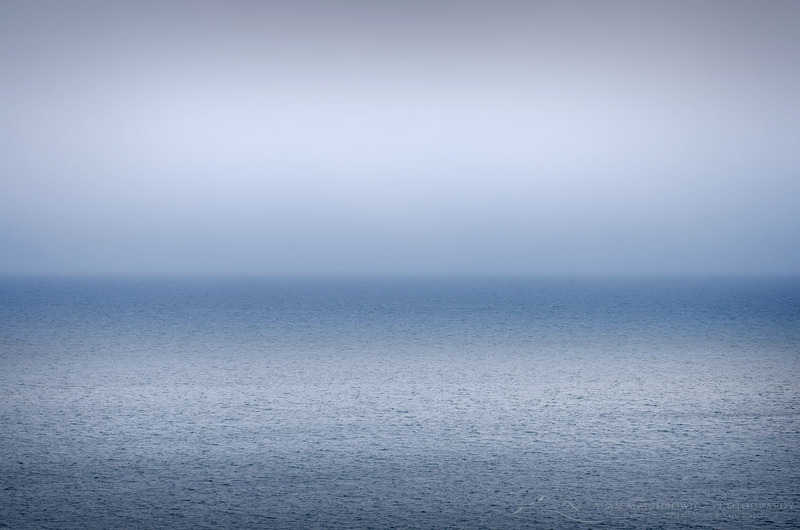 While we didn’t see any whales in the bay I did manage to make a few semi-abstract photographs of cloud patterns. 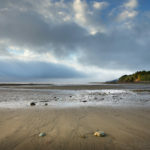 I got up early the next morning to drive down to the bay for low tide. It was quite a sight to see such a low tide. All the fishing boats were now resting high and dry on a gravel and mud seafloor. 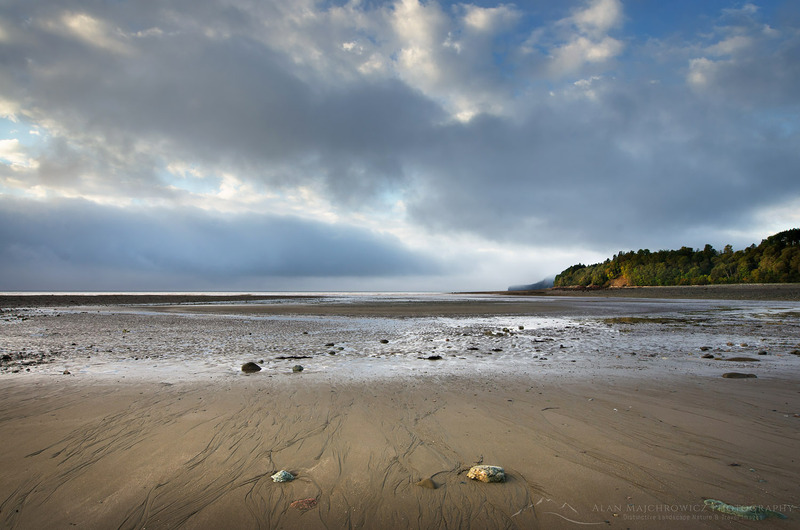 After scouting for photos along the expansive low tide beach I headed back to camp to pack up and move on to Nova Scotia. I was hoping to make a stop along the way at Hopewell Rocks to photograph the famous sea stacks. However, as we pulled into a full parking lot the sight of a large quantity of tour busses was discouraging. I knew from experience that the best views for photography would be crowed with tourists. So with a tinge of regret we instead drove on to our next main destination, Cape Breton Highlands, Nova Scotia. It seemed a shame though to have only a little more than a day for this area. I guess we’ll have to come back again! Wow, what a busy week since our return home after six weeks and over 10,000 miles on the road! Aside from catching up on household chores, filling client orders, and general business tasks, I have a mountain of new images to get to. I’ve just begun the lengthy task of editing and processing all the files, but have made an initial pass and found some photos that stand out. I’m getting a bit ahead of myself by doing this. I usually wait until I have completed the full editing and image processing is complete, but since this project will take several weeks to complete I’m anxious to share with you some of the highlights so far. We’ll also be sending out regular email progress updates in the coming weeks. Within the next several days I’ll be posting a full gallery of new images from the first couple of locations covered on the trip, Medicine Rocks Montana and Watkins Glen New York. Make sure to check back often, here and on my Facebook page. And don’t forget, all of the images are immediately available for commercial licensing and as fine art prints! We have officially begun our fall photography trip. Currently we are on the road in Ohio with our first stop being Watkins Glen New York. 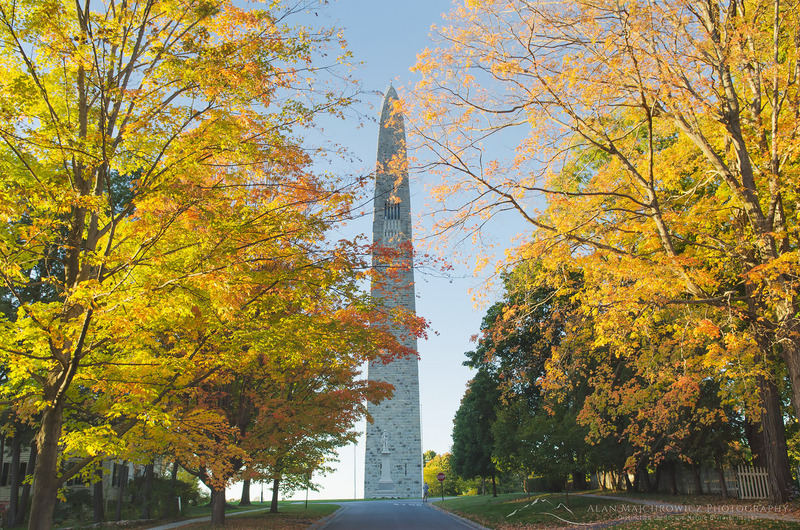 On this trip we will be traveling to numerous locations in Nova Scotia, New York, Vermont, New Hampshire, and Maine, in search of classic autumn scenes. In addition, of course, we’ll be looking for images and styles that offer a fresh perspective on the region and season. This trip will also mark the beginning of a long-term project to make substantial additions to our New England and beyond archives. Already having in-depth coverage from most of the western states our goal is to offer clients images from a wider range of locations. Starting this fall with New England and expanding to include Atlantic Provinces, the Midwest, UK and Scandinavia. We will be out the entire season with a packed itinerary, photographing everything that looks interesting. If there are any locations styles or subjects you would like to add let us know, we’ll do our best to work them in! Please help our business grow, forward this post to a friend or colleague!